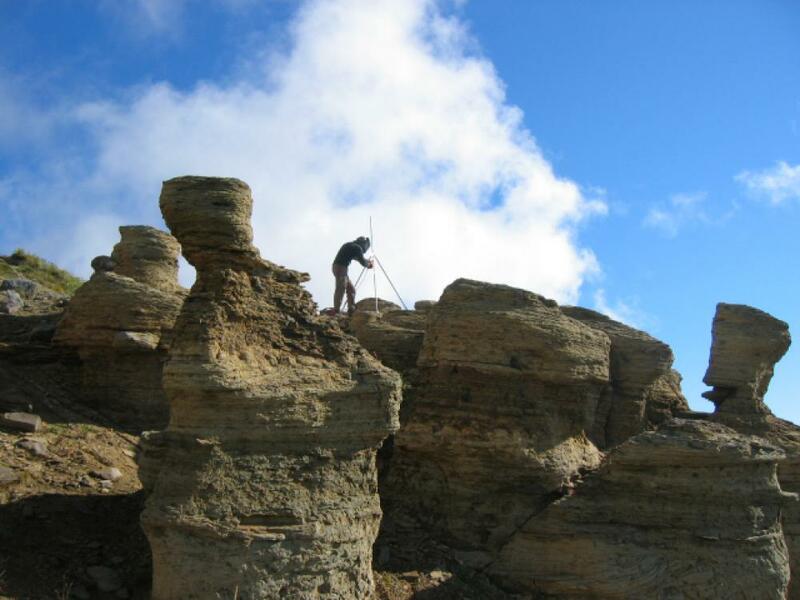 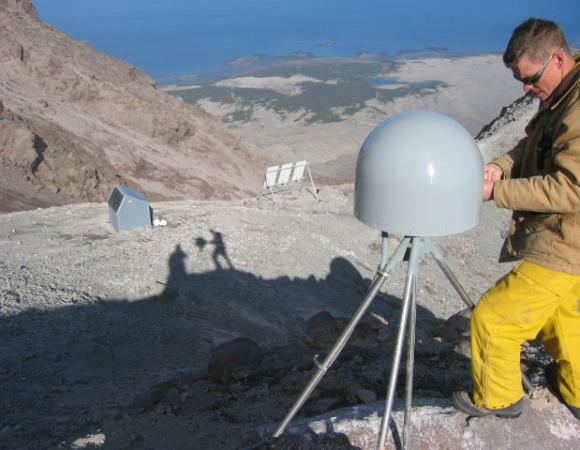 One of the key goals of the NSF-funded EarthScope Plate Boundary Observatory (PBO) project, capturing deformation related to magmatic processes along the Aleutian volcanic arc, is being met in dramatic fashion on Augustine Volcano, Alaska. Augustine Volcano is a stratovolcano located near the mouth of Cook Inlet, approximately 175 miles (280 km) southwest of Anchorage, Alaska (Figure 1). 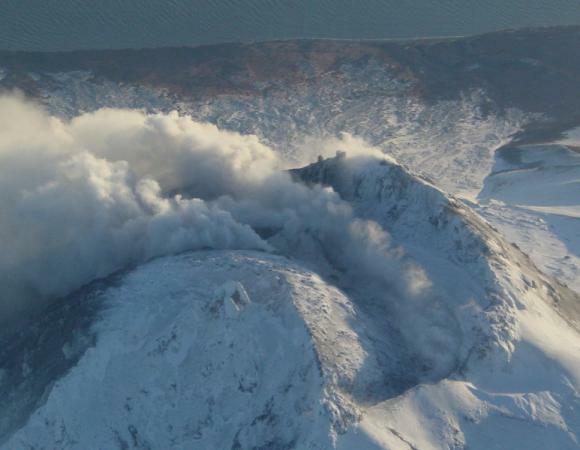 It has erupted four times since 1900, most recently in 1986, and has ongoing seismic and fumarole activity. 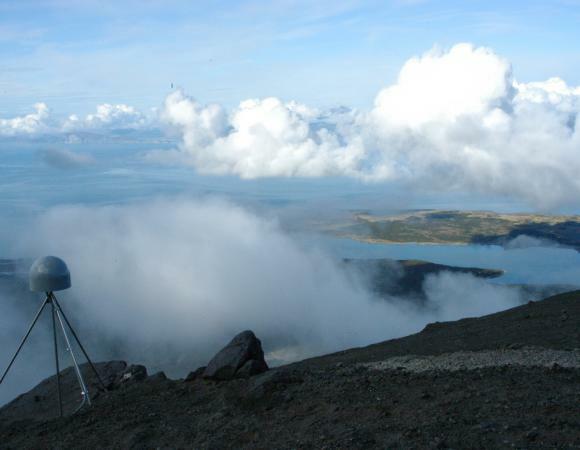 Augustine Volcano itself is unpopulated, but its location near Anchorage makes it a potential hazard to the most heavily populated area of Alaska, particularly to commercial aviation in the region. Augustine Volcano has also been identified by the EarthScope community as a primary target for geodetic studies to shed light on the location, size, and shape of the magmatic systems that drive central-vent volcanism. 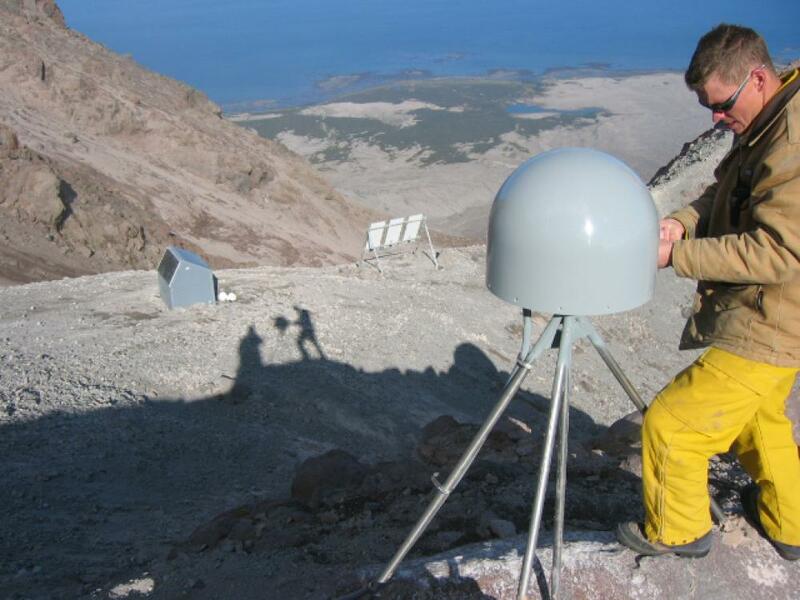 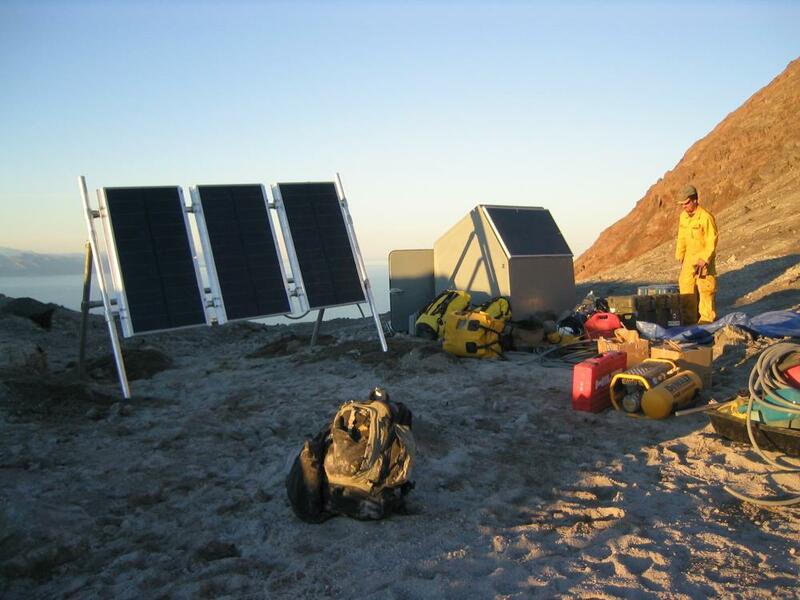 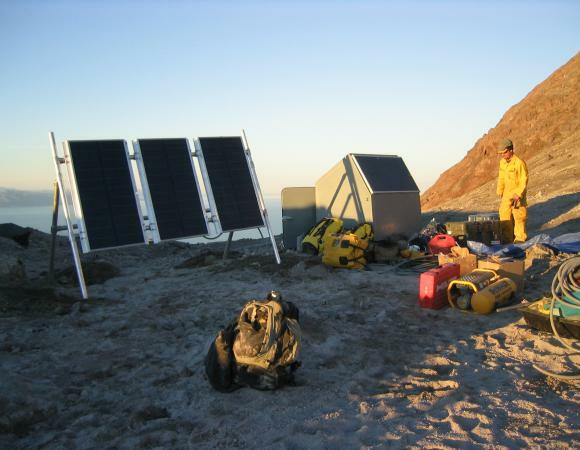 In September 2004, UNAVCO installed five PBO continuously operating GPS (CGPS) stations on Augustine Volcano and two nearby on the western shore of Cook Inlet (AV01, AV02, AV03, AV04, AV05, AC27, and AC59; see Figures 2 and 3). 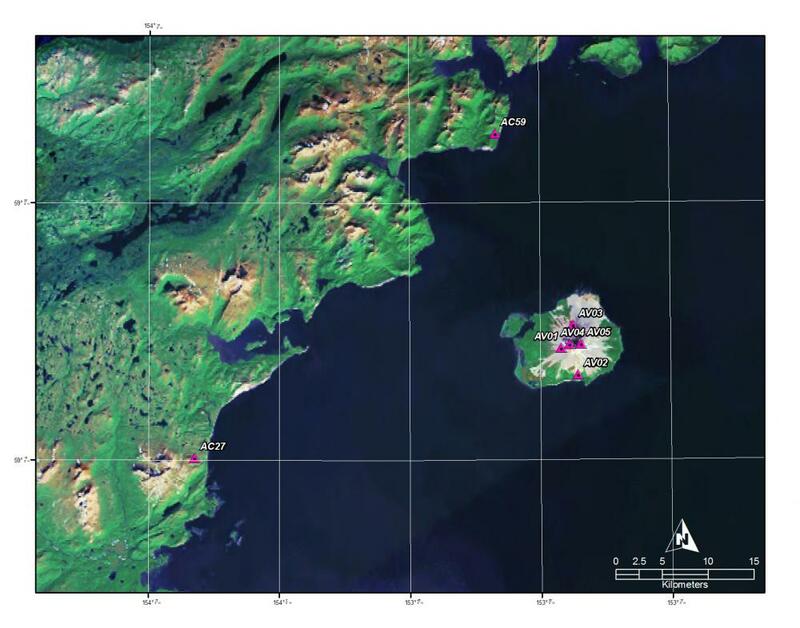 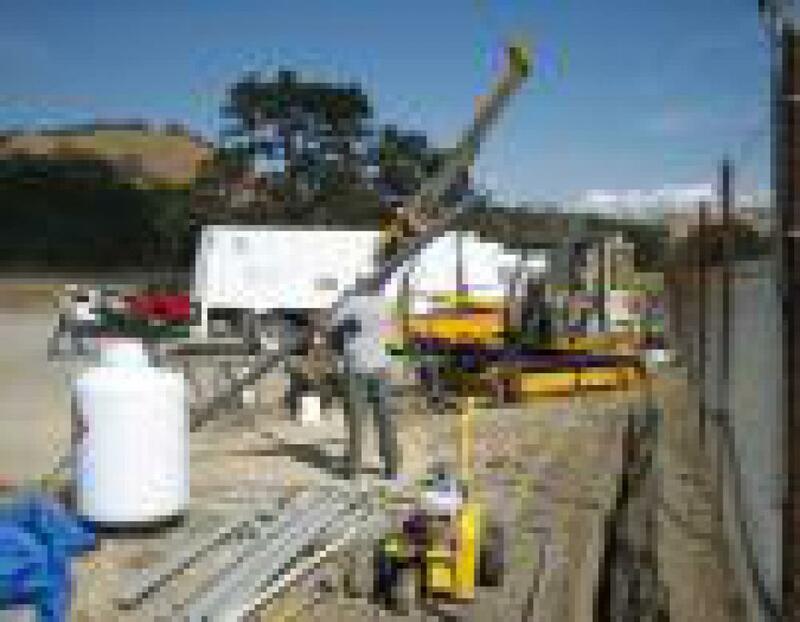 These stations produce daily data files that are processed by the PBO GPS Analysis Center and Analysis Center Coordinator to produce an estimate of the position of each station on a daily basis. 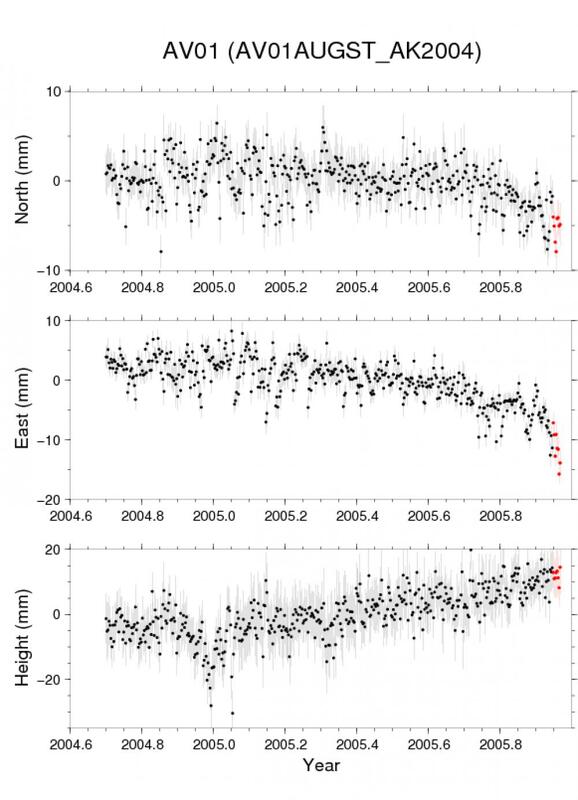 These data, and the position estimates derived from them, are available from the PBO GPS Data Products web page. 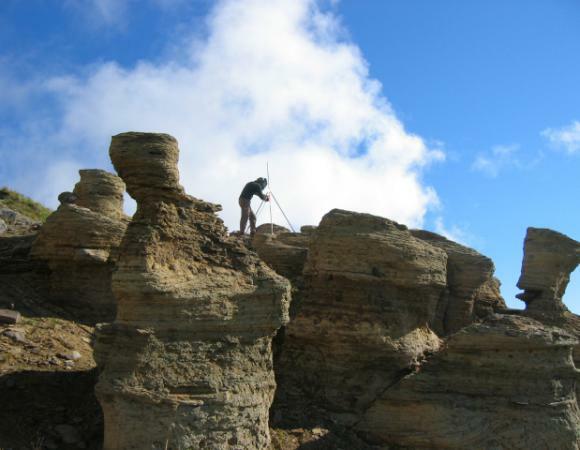 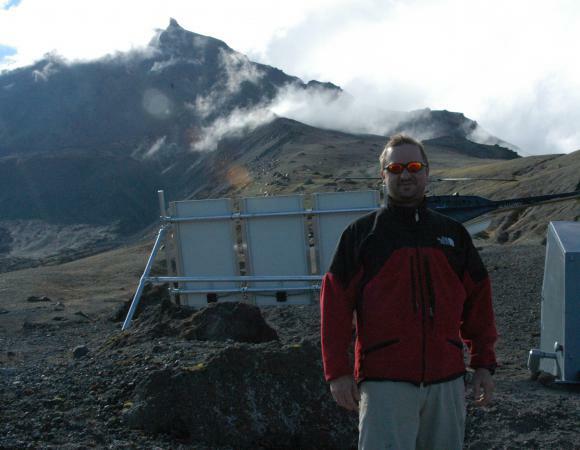 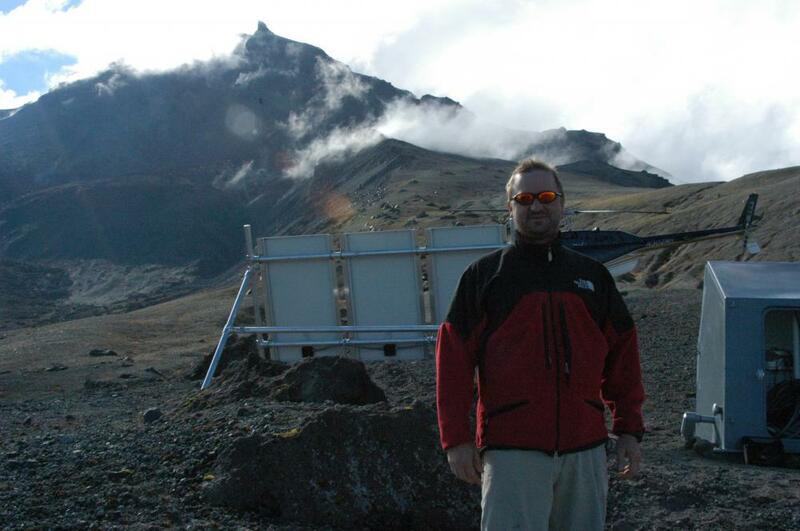 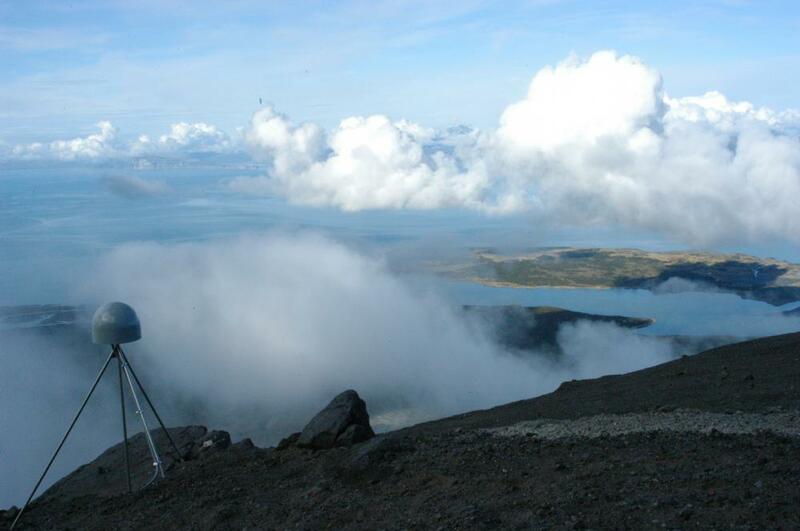 Scientists at the Alaska Volcano Observatory have used PBO and other GPS data to determine that Augustine Volcano began to inflate during the summer of 2005. 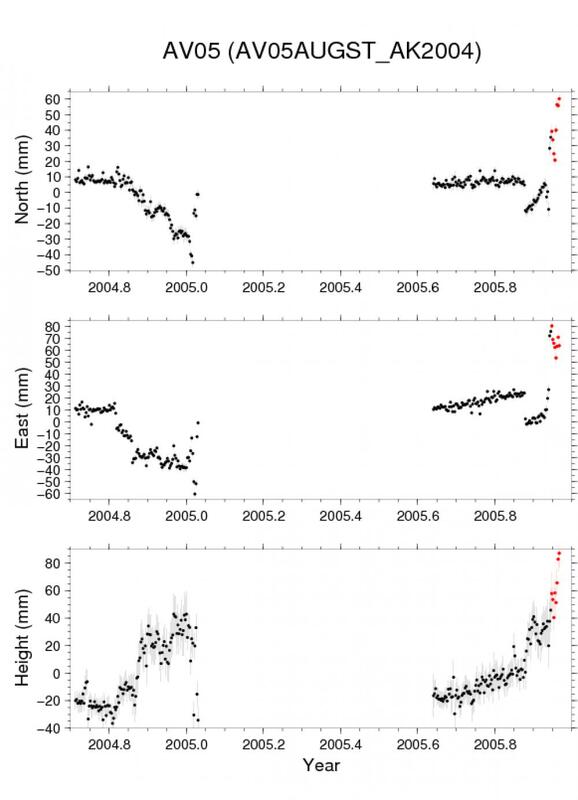 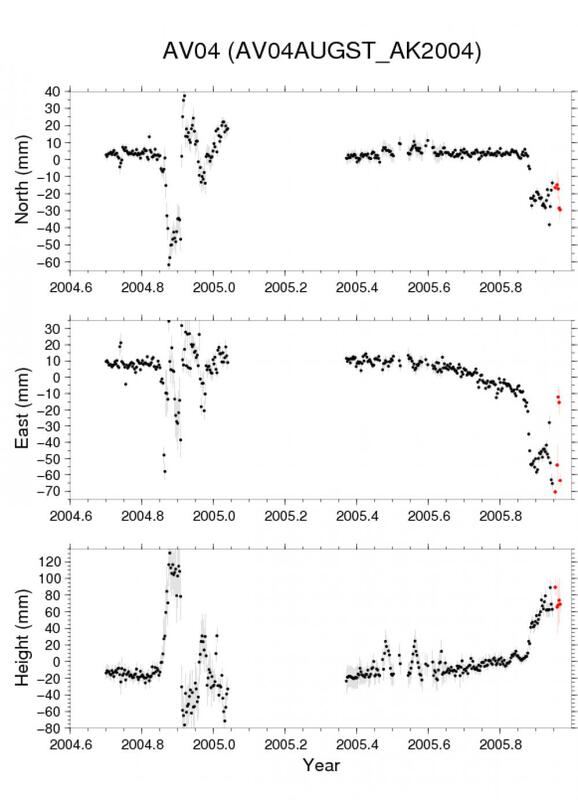 On December 12, 2005, the deformation accelerated, with PBO stations AV04 and AV05 (high on the flanks of the volcano; see Figure 3) moving about 3 and 5 cm, respectively (see Figures 6 and 7; note differing scales). 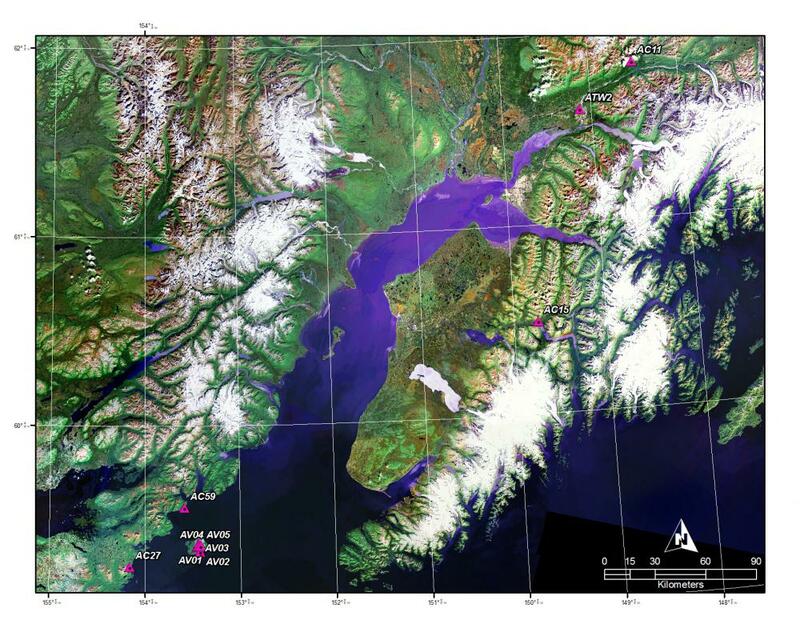 At the same time, the volcano emitted ash, restricted to the summit region, and a plume of steam and volcanic gasses that traveled approximately 50 miles (80 km) downwind of the volcano; the plume was visible on MODIS satellite imagery available from the [http://www.gina.alaska.edu/](Geographic Information Network of Alaska). 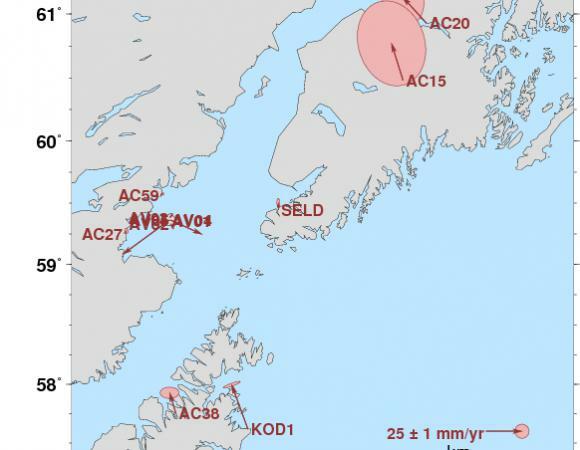 Within six hours of the plume emission, UNAVCO activated hourly downloads of data from the EarthScope PBO GPS stations on the island; AC27 and AC59 were upgraded within three days. 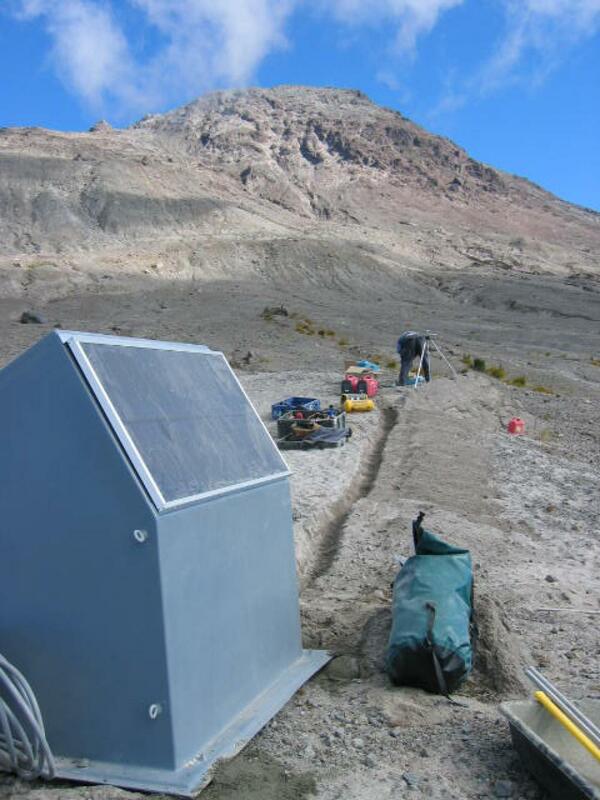 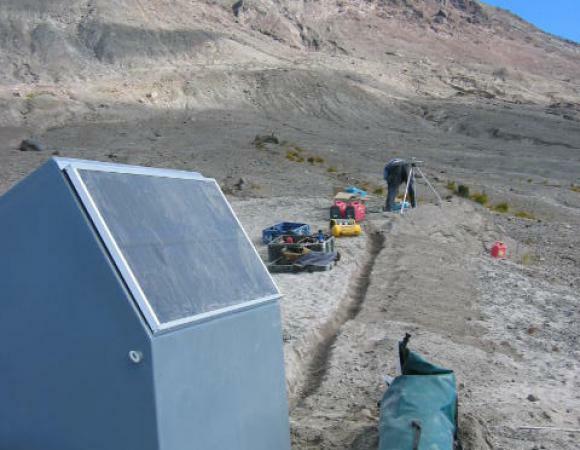 This will allow scientists to examine the deformation of the volcano on a sub-daily basis. 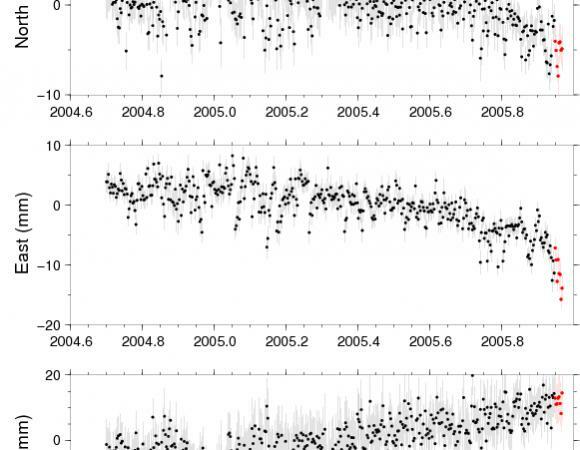 These data are freely available from the UNAVCO Facility ftp server. 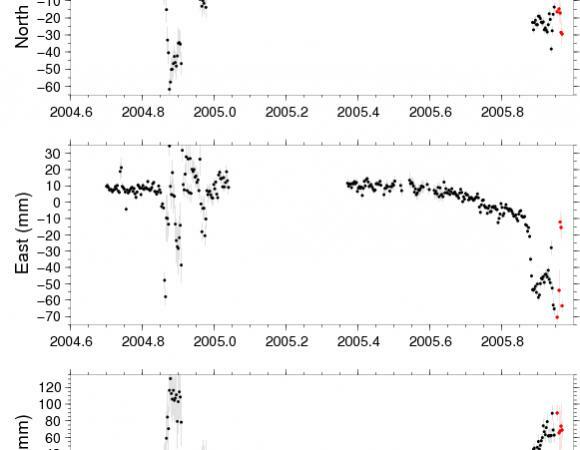 Raw hourly data files are available at ftp://data-out.unavco.org/pub/hourly/raw/2005 (organized by day of year), and hourly RINEX files are available at ftp://data-out.unavco.org/pub/hourly/rinex/2005; hourly data from the Augustine stations are available starting on day 348. 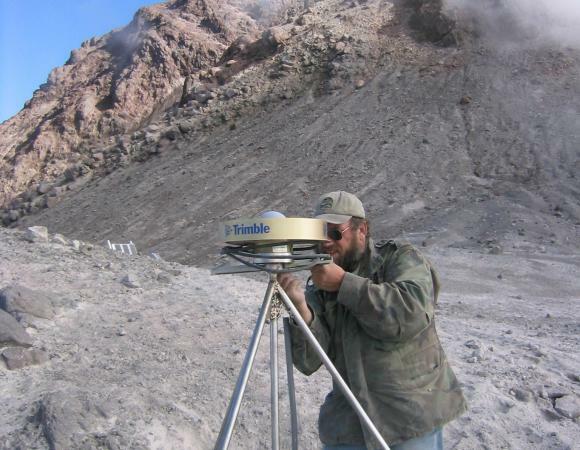 All EarthScope GPS data are analyzed routinely, but in order to facilitate research into deformation of Augustine Volcano, UNAVCO has also activated a special PBO GPS analysis run for the stations AV01, AV02, AV03, AV04, and AV05. 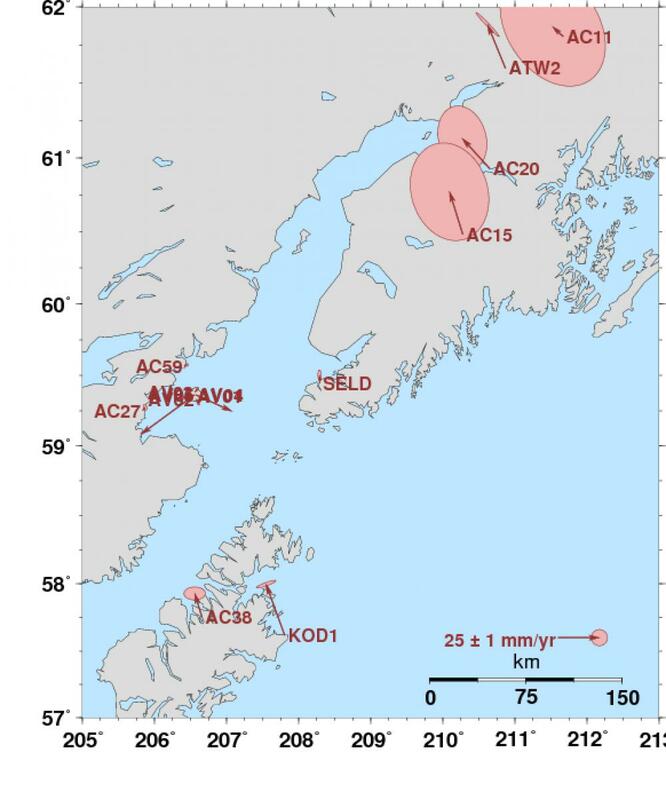 PBO’s GPS Analysis Center Coordinator (ACC) at MIT has created time series for these stations (see Figures 5, 6, and 7) in an Alaska-local reference frame defined by the PBO, PBO Nucleus, and other GPS stations AC11, AC15, AC20, AC27, AC38, AC59, ATW2, KOD1, and SELD; the ACC has also estimated a long-term velocity for these stations in the same Alaska-local reference frame (see Figure 8). 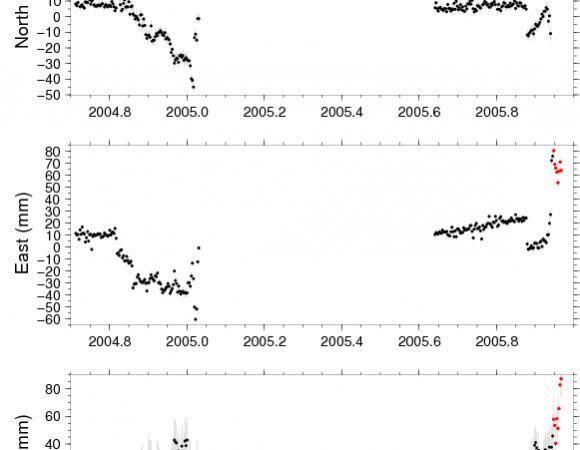 These time series (in PBO format), the velocity field, documentation of the PBO time series and velocity field formats, PostScript files of the time series, a script to plot the time series, and other ancillary files, are available as a gzip-compressed tar file we will update these products regularly. 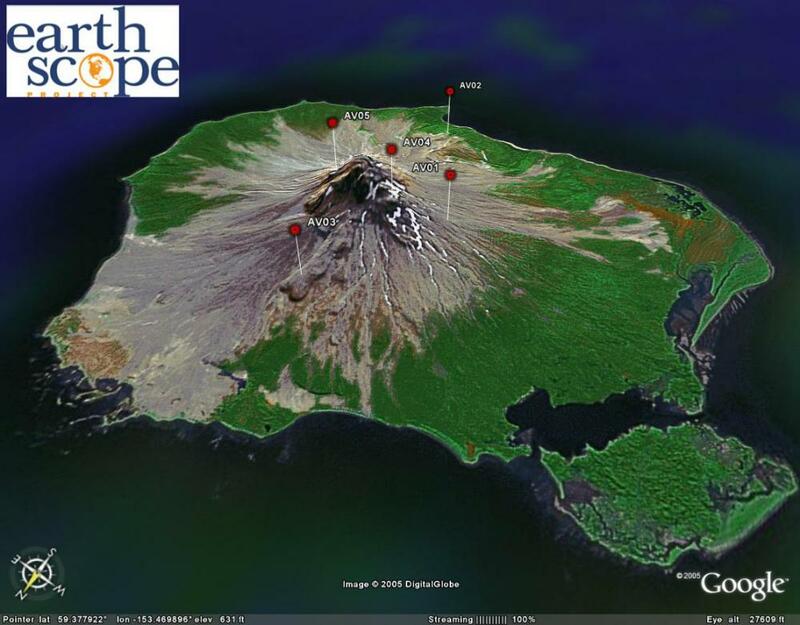 Take an interactive 3D tour of Augustine Volcano using the EarthScope web site; a high-speed Internet connection is strongly recommended. 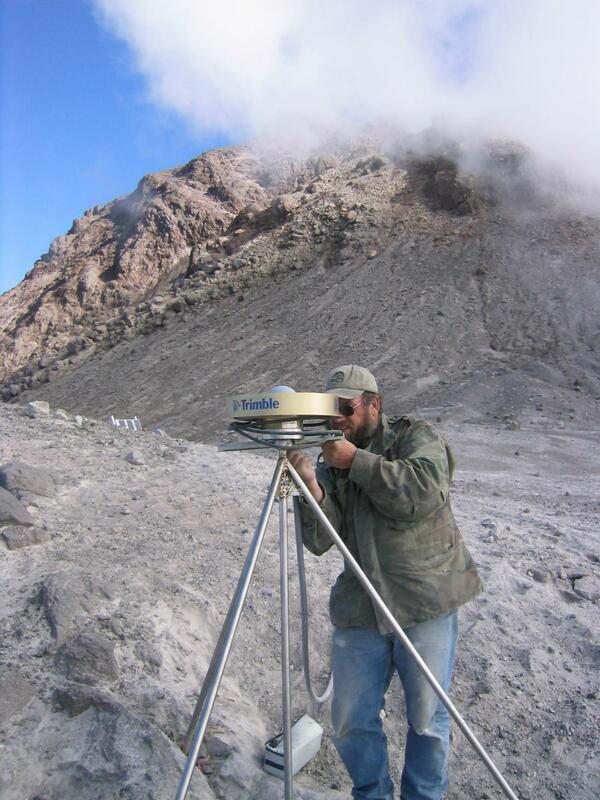 For more information on data from the PBO stations on or near Augustine Volcano, or any other PBO data, please contact Greg Anderson, PBO Data Products Manager.